Memorial Day weekend- WooHoo! Time to break out the white pants, pop up some rose and start hitting up all those rooftops, patios and park parties. This city has a ton of great events going on all weekend long but here’s a few especially for the food focused. We even included something on Tuesday night for those who wish to extend the holiday weekend just a little bit further. 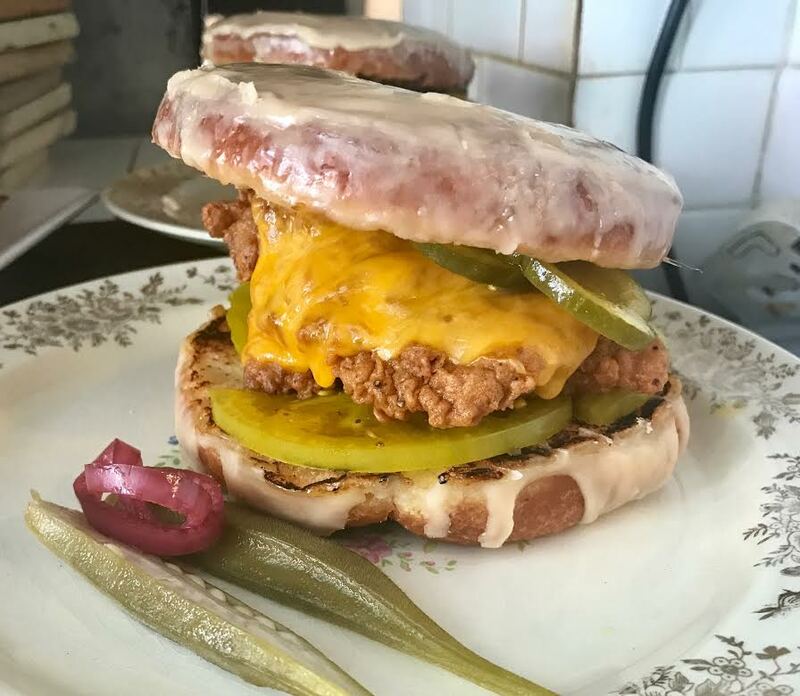 Southern food favorite Root & Bone and the incredible Doughnut Project are teaming up this weekend to serve a fantastic Fried Chicken Doughnut sandwich. This isn’t just a regular doughnut either; it’s a Maple Bourbon Tabasco Glazed doughnut! The sandwich is available at Root & Bone and the doughnuts will be at Doughnut Project all weekend long. Celebrate Memorial Day by digging into some the seasons first Soft Shell Crabs in taco form at Mexican hot spot Tolache. These crabs are deep fried in a Modelo-tajin batter then served inside a tortilla with fresh guacamole and cucumber-red jalapeño slaw. Add on a signature margarita and enjoy a day free of the Sunday Scaries. Atlantic Social the brand new spot from Chef Dale Talde, David Massoni and John Bush will be hosting an all day Pig Roast on Monday. Starting at noon its just $20 per person for all the food you can eat and an additional $10 for unlimited beer and rose perfect for playing a couple games of beer pong. What says summer more than a little pig and rose in Brooklyn. Celebrate the end of the annual Dragon Boat festival with whiskey drinks and special bites from NYC’s Win Son, Nom Wah Nolita and the Tang at An Evening with Dragons. The menu includes thick Breakfast Congee with bacon and Parmesan, Chicken Dumplings with spicy garlic chili oil and Taiwanese Sweet Tofu dusted ground peanut and condensed milk. Tickets can be purchased for both the early or late seating here.